Ilam province is located in southwestern part of Iran with an area of about ​​20,133 square kilometers, it is the 22nd province of Iran in terms of size. It neighbors provinces of Kermanshah, Lorestan, Khuzestan and the country of Iraq. Due to having high mountains, Ilam has numerous rivers and its rivers have high flow. The diversity of climate that the mountains created, it gives the area a chance to enjoy three types of dry/semi-dry climate, mountainous temperate and intermediate areas. 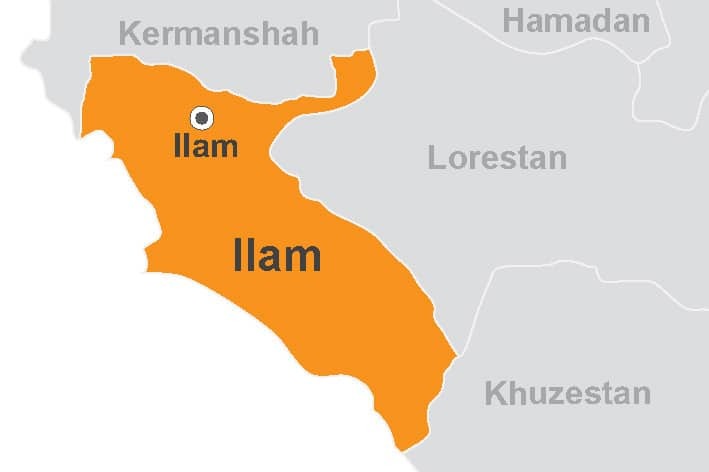 Ilam province has 10 counties and its center is also called Ilam. The people of the province are Kurd, Lur, Laks (the mixture of Lur and Kurd) and Arab. They are commonly wearing Kurdish costume and speak Ilami Kurdish which is slightly different from the Kurdish spoken in Kermanshah and Sanandaj. The oldest sources which point out to Ilam and Elamite civilization date back to about 2700 BC. The Elamites territory included the southwestern parts of Iran’s Plateau. The center of their ruling was Susa and it is somehow similar to Khuzestan Province. Geographically and culturally, some parts of the southeastern network of the Tigris and Euphrates rivers belonged to Ilam and although we are sure that part of the Mesopotamia belonged to Elamite, it is still very difficult to determine the precise border of the lands they ruled. The Elamites used to call their homeland Hatamti meaning the land of God, the Akkadians (the first ancient empire of Mesopotamia) referred to it as Elamoto and it seems that the name of Ilam has originated here. Assurbanipal, the king of Assyria, defeated Elam in the year 600 before birth of Christ and plundered Susa; after that Ilam never became an independent government. Upon the Achaemenid ruling, Ilam became a tributary of the central government. Over the years, the name of this area changed several times from among them, the most important ones are the Sirvan (taken from a river with the same name) and Poshtkouh (because of its geographical location in the western Zagros range behind Lorestan) in Qajar era. The pristine and beautiful nature of the area is considered the most important attraction of Ilam. The historical and cultural attractions of this province include Vali Castle of Ilam, Falahati Palace, Taq-e Shirin and Farhad, Siahgel Fire Temple, and the remains of the Sassanid city of Sarab-e Kalan. The most important handicrafts of the region are carpet and kilim. The wool used in creating the threads of this carpet is of high quality, and the use of silk threads is also very common. The kilims usually have floral pattern. The nomad handicrafts of the province include Chit, Tough, Davar, gouchan and Douk. The best souvenir of Ilam, called Dan, is also known as Kermanshahi oil. Tuff is another souvenir made of milk and cheese. The mountain honey, local chewing gum and beji-borsagh cookies are also souvenirs from the province. The main ingredient of most of the local foods are peas and beans. Ghanbid abgoosht, Bagel Halva, Chogroz and kufteh sirabi are native foods of Ilam.